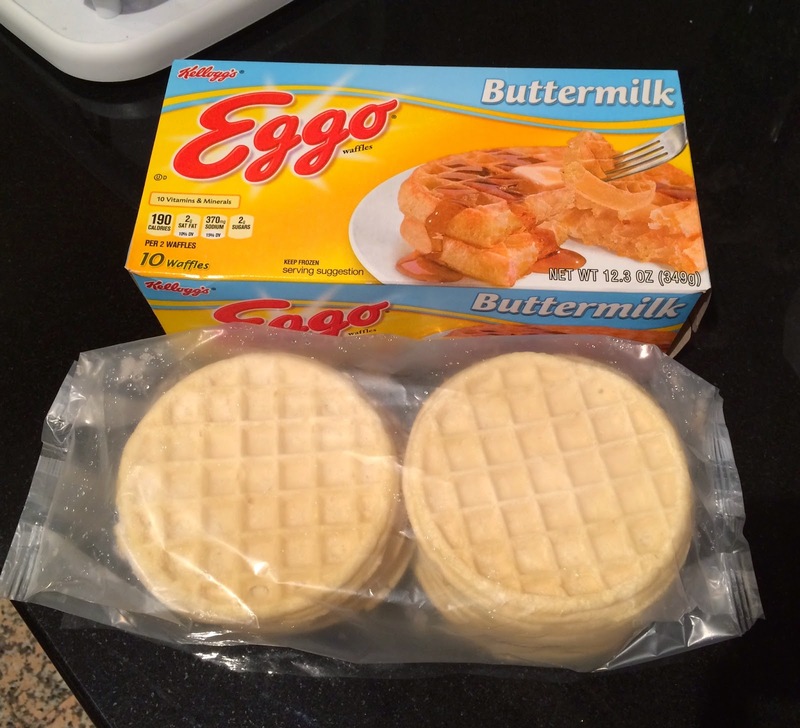 Kellogg's Eggo is a frozen waffle and it can be spotted at a frozen aisle at pretty much at any supermarket or conbini. 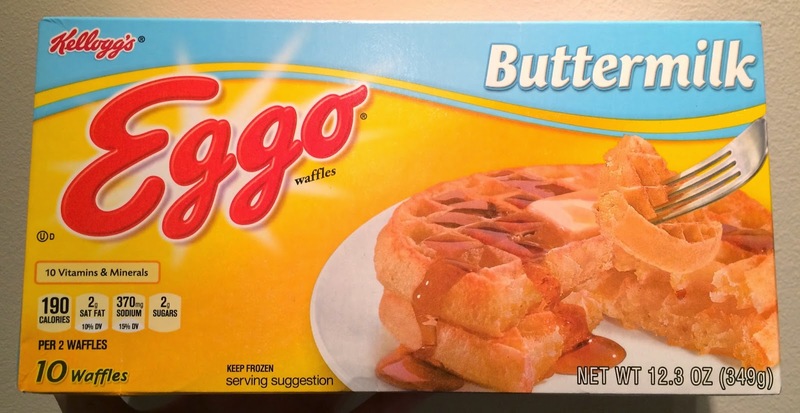 I've seen Kellogg's "L'eggo my Eggo" commercial these days, which family members wait around a toaster to wait for Eggo, counting the time using as a smartphone's timer, then a youngest kid takes away the freshly toasted Eggo and bites it. I'd never eaten this so we went to a conbini and bought one. At Duane Reade, there're regular Eggo (homestyle) and Buttermilk, but the box of homestyle was opened so we bought one Buttermilk. I thought this item was invented maybe a decade ago, but actually it's produced and introduced to the states nationwide in 1953 by 3 brothers, Tony, Sam, and Frank Dorsa, as frozen waffles don't require waffle iron. In 1968, Kellogg purchased Eggo. There'a one plastic bag holding 10 waffles. 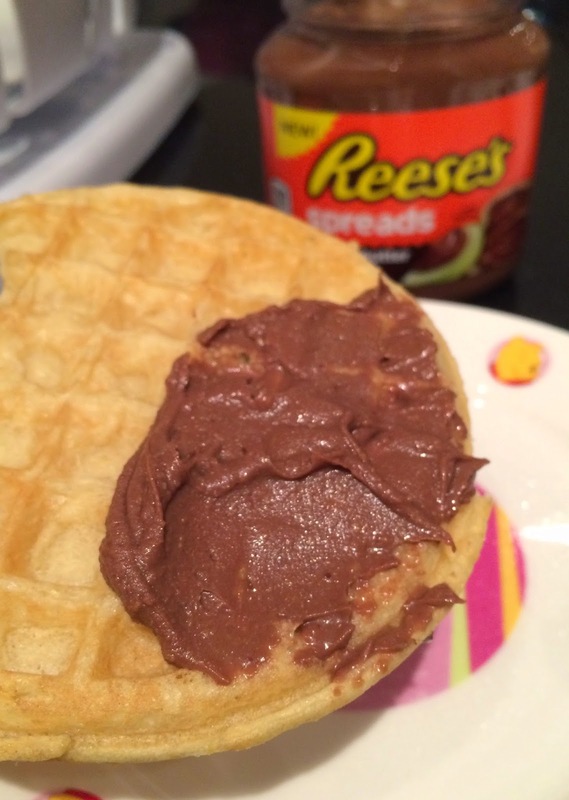 Use the frozen waffles, never defrost them. Toaster: At lightest or lowest heat setting. 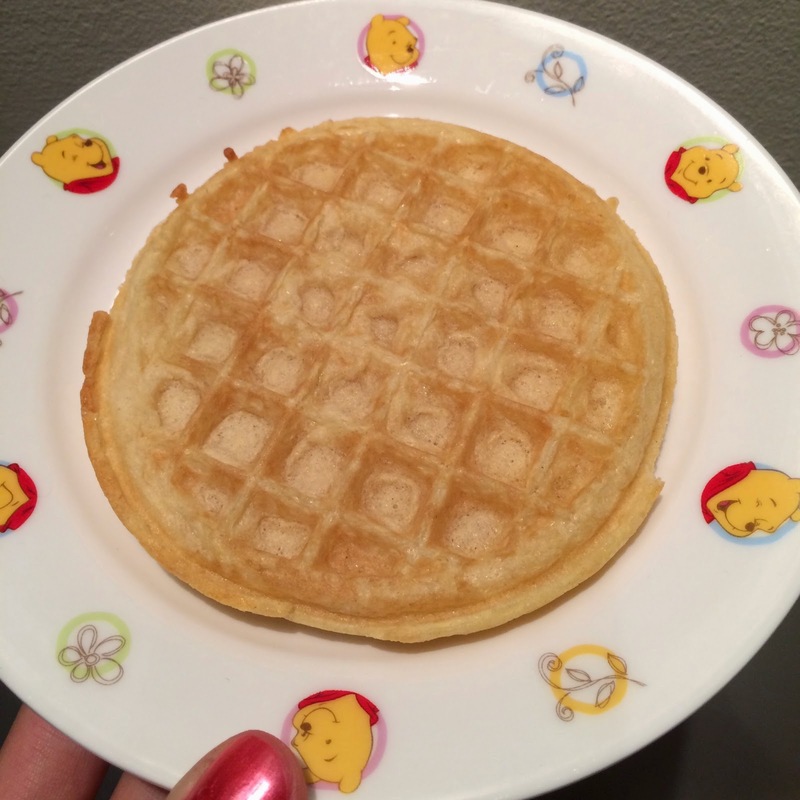 Oven: Preheat oven to 400 - 450F (204 - 232C) and heat waffles on a baking sheet for 5 minutes. We used a toaster, and maybe heated for about 5 - 7 minutes at 450F (232C) at "Toast" setting. The color really didn't change after 5 minutes, but it's warm so I took mine out. When I ate as it was, it had slightly sour buttermilk flavor, and the outside was crunchy and crispy, and the inside was soft. The crispy sound was similar to what I heard in the commercial, and I was amazed. With maple syrup, it tasted like a classic waffle. 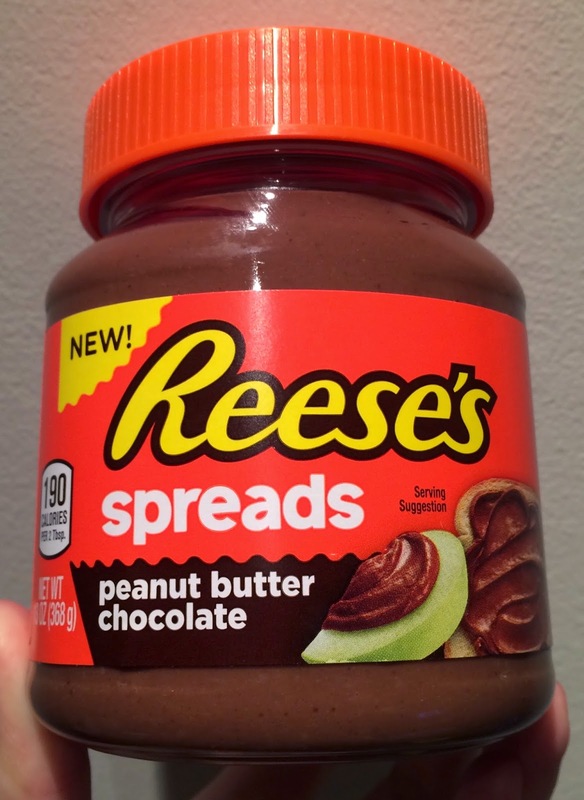 And I added some Reese's Spreads Peanut Butter Chocolate. Mmm, it's just so good. 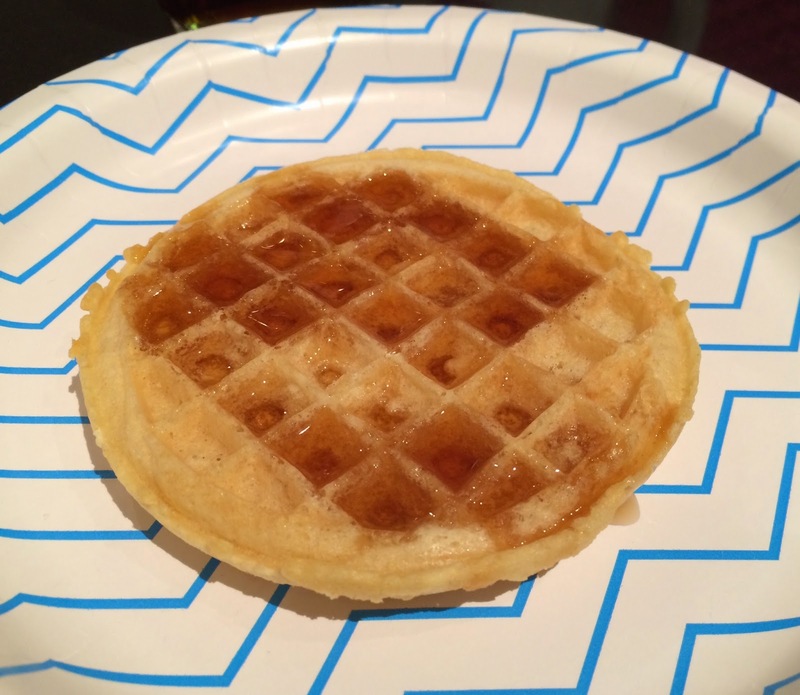 Eggo was easy and fast to prepare, not many to clean, and most importantly, it's really tasty and a perfect size for a snack. Each waffle is 95kcal, and I think it's not that high calorie.